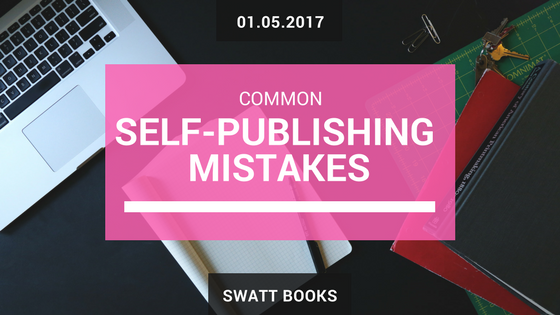 Do you make these common self‐publishing mistakes? Do you make these common self-publishing mistakes? There are numerous pitfalls to self‐publishing, and many new authors fall into these self‐publishing mistakes through ignorance. Just imagine how much easier the publishing process could be if you could avoid these mistakes altogether. Here is a rundown of the 9 most common self‐publishing mistakes I’ve seen, and a few tips on how you can avoid making them yourself. Imagine someone asked you to explain why you were writing your book. How would you respond? What would you say? Your answer to this simple question will have a significant impact on the way you write, design, publish and market your book. For example, if your answer is “I just want to capture the family memories of an elderly relative, so that future generations of our family can understand what their life was like.” You probably aren’t going to worry too much about things like cover design, typesetting and book distribution. This answer implies a desire to create a book that will be available to as many people as possible. It also helps to pin down the profile of your target reader. It may give you (or your designer) some clues as to what sort of cover design will be needed to appeal to these people. Ask yourself why you are writing your book, and write down notes about your answer. Look back through your notes and pick out any key points that you can use to position your book effectively, and make sure that as you write your book that you bare these points in mind. If you’ve already starting writing your book, or even finished it, pass these positioning points onto your editor so they can edit your manuscript to fit your positioning as much as possible without compromising the content. More on editors later in this post. If your purpose is to create a book that sells, the next question to ask yourself is “Are there enough people out there who want to buy a book on this topic?” Many authors assume that there is a market for their book without doing any research to prove it. Such optimism is commendable, but usually proves foolhardy. It doesn’t take a brain surgeon to work out that if there is no demand, your book won’t sell. Don’t assume there is a market for your book – market testing can save you a lot of time and heartache. Ideally, you want to “test the water” before expending time and money on self‐publishing your book. One way to do this is to tap into the power of your network. Tell your friends, family and existing readers that you are planning to write a book about “X” and ask them if they would be interested in reading a book on that topic. Social Media platforms such as Facebook and Twitter are a great way to test out book ideas before you even put pen to paper. Another testing option is through your blog. You could write an article based on your book idea, and see what the response is. Share it as widely as possible via email and social media, and then measure the popularity of the article using Google Search Console. 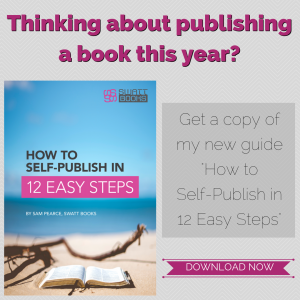 Self‐Publishing Mistake #3: Starting your book but not finishing it! Ok so you know why you are writing your book, and you have done your research to prove that there is an audience. The next thing you need to do is knuckle down and write it! Sadly, I have known many people who repeatedly say that they are going to write a book and then never get around to doing it. Set yourself a realistic publication deadline and then draw up a writing schedule that you can stick to. Your book won’t write itself. You’ll need to set aside time to outline your ideas, create a structure, and then write the content. Remember, starting your book is relatively easy, finishing it takes stamina, determination and focus. To help you do this, I’ll be sharing some proven techniques to help you keep you on track, in a future post. Next, tell everyone you know about your book and your proposed publishing date. This will help create the motivation you need to get it finished, and will give you a level of accountability to help you when your enthusiasm starts to wane. A book without a marketing plan is like a bullet without a gun. Nobody will buy your book if they aren’t aware it exists, don’t understand what it is about, or don’t know why you are uniquely qualified to write it. Marketing is much more than just advertising that your book is available. Amazon is full of amazing self‐published books that never sell more than a handful of copies because there is little or no marketing activity behind it. I often get asked, “When should I start marketing my book?” and my answer is always “Now!” Ideally, you should start promoting your book before it’s even been written. Pre‐launch marketing creates a tribe of people who are excited about your book and who are hungry to buy a copy when it is published. Write out a book‐marketing plan and start implementing it as soon as possible. If you don’t know how to create your own marketing plan, then find someone who can help. I’ll be sharing some practical tips in a future blog post. Another common self‐publishing mistake that new authors make is not to share your first draft with people you trust to give you honest, objective feedback. I know, your book is your baby and the thought of having someone criticise it is scary and deeply unpleasant, but trust me, your book will be the better for it. Wouldn’t you rather find out any mistakes and shortcomings BEFORE you publish? A poorly written, hard to follow book will do your reputation and credibility much more harm than good. Bite the bullet and ask for feedback from people whose opinions your trust and respect. Ideally you want to do this fairly early in the writing process, and again during editing to ensure you are still on track. I’ve lost count of the number of authors who have chosen to go down the DIY editing and proofreading route to save money, only to realise that it was a false economy. Editing and proofreading are time‐consuming tasks that require specialist skills that most authors don’t possess. Look at the acknowledgements page in most bestselling books, and you will see mention of editors and proofreaders. Yes, it costs money to hire these people but think of the time and heartache you save. Research editors and proofreaders, and start engaging with the one you like to discuss your book early on in the process. That way you can budget and save for their fees. Follow this one tip, and I guarantee you’ll thank me later. This self‐publishing mistake is like the previous one in that it too involves a reluctance on the part of the author to hand over control of their manuscript to a professional, in this case, a designer. You aren’t a graphic designer and don’t have the knowledge and tools to create appropriate supporting graphics such as illustrations, pull quotes or, highlight boxes. You’ve not been trained in graphic design and don’t know how to effectively combine images and colour schemes in the right resolutions and combinations to create a stunning cover that makes your book stand out on shelf. Find a book designer and cover artist who will work with you to turn your precious manuscript into a book that you are proud of and that is appealing to your target buyers. And similarly to editors, start budgeting for their fees from an early stage. This is the final hurdle in turning your book into a best‐seller, but many authors ignore this stage all together. While it’s relatively easy to promote your book in the run up to its launch, it’s much harder to maintain that momentum once the euphoria that comes with being a published author dies down. Ongoing success depends on having a post‐launch marketing strategy that keeps driving people to your book’s website or sales page, weeks, months, and even years after launch. There are many ways to maintain the sales of your book including; face to face networking, speaking engagements, asking readers to post a review, and blogging, podcasting or webinars linked to your book. Make sure your marketing plan includes an ongoing programme of promotional activities that extends well beyond your self‐published book’s launch period. Remember to make sure that all of your activity is coherent and follows in the spirit of your book. Amazon is the biggest online book retailer on the planet and, even though it takes quite a significant cut of your sale price, it is simply too big to be ignored. There are several ways that you can benefit from Amazon’s sales platform and navigating your way around them can be challenging and bewildering. Do I sell a paperback edition a Kindle Edition or both? Should I become an Amazon Seller? Should I let Amazon’s affiliate print my books or should I use an independent printer? How much should I charge? Which categories should I list my book under? 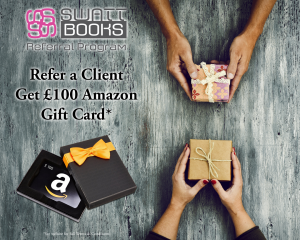 Either take the time to learn about the pros and cons of the various Amazon options, or find a professional self‐publishing manager like me who can advise you on the most appropriate options for your self‐publishing goals. So there you have it. Are you guilty of some of those mistakes? If so, and you want to learn more about how you can avoid them, then get in touch by filling in the contact form at the bottom of the page. Have any additional tips on how authors can avoid these mistakes? Please share it in the comments, I’d love to hear from you.